Smartphone screens have been getting bigger and bigger over the last few years, and Samsung has been leading the charge. But this year Apple launched the iPhone XS Max with a 6.5-inch display, beating the Galaxy Note 9’s 6.4-inch in size. Next year, the Galaxy Note 10 display will reportedly get even bigger than iPhone XS Max. Citing sources quoted by the Korean media, iGeekPhone reports that the Note 10 display would measure a whopping 6.66-inch diagonally. It will likely be marketed as 6.7-inch. Will Note 10 display be the largest ever on a Samsung phone? The latest report is in line with a leak from Korean site The Bell, which claimed last month that the Note 10 display would measure 6.66 inches. Samsung has already informed Samsung Display about the new screen size. According to The Bell, the Note 10 development began in September. A lot of things could change between now and the launch, but vendors rarely change screen size once it has been decided. Will a bigger 6.66-inch display make the Note 10 too large to hold comfortably in your hand? Probably not. The phone’s overall dimensions will likely remain the same despite featuring a larger display. Samsung has been pushing to make the top and bottom bezels on its flagship phones slimmer. It hasn’t adopted the display notch like Apple and dozens of other Android vendors, but it may have found a better solution. Samsung recently showed off its Infinity-O display technology, which has a fully bezel-less design with a tiny circular hole near the top to accommodate the front-facing camera. 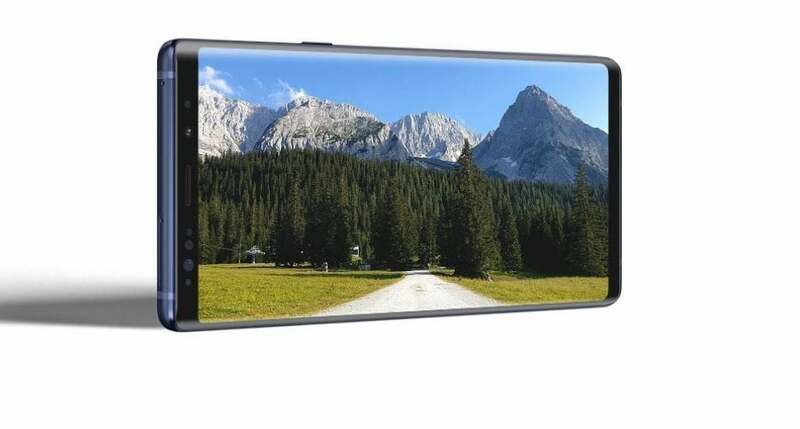 The Infinity-O display is rumored to first appear in the Galaxy S10 and later in the Note 10 phablet. Folks at Let’s Go Digital recently spotted a patent Samsung filed with the WIPO describing the Infinity-O technology. 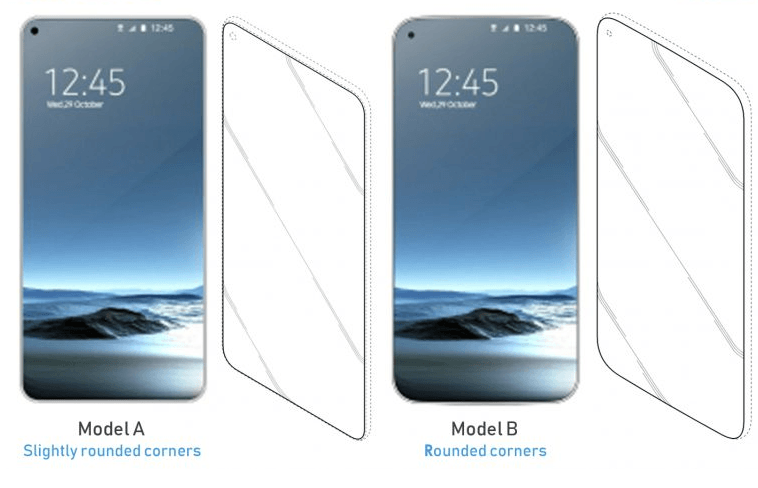 The patent documents suggest the phone will have absolutely no bezels at the top and bottom of the display. Two images in the patent filing depict Model A and Model B. The main difference between the two models is how rounded the corners are. You can see the circular hole in the top-left corner of the screen. In a few other images, the cutout appears on the top-right corner, suggesting Samsung hasn’t yet decided where to place it. Even if the Galaxy Note 10 display is as big as 6.66 inches, it will not be the biggest smartphone display from Samsung. The Korean company’s foldable smartphone is said to have a 7.3-inch screen when unfolded. Korean publication ETNews has claimed earlier that Samsung could finally ditch the 3.5mm headphone jack from the Galaxy Note 10. Most other vendors have been removing the audio jack from their devices, and consumers have come to expect jack-less phones. Samsung could remove the audio jack to make room for a bigger battery or add other components. It could also help boost the sales of Samsung’s wireless headphones. The Note 9 would have an ultrasonic fingerprint sensor placed under the display, allowing users to unlock the device by placing their finger on the screen. Another rumored feature is the triple-camera system on the back, which we would see on the Galaxy S10 as well as Note 10. The Note 10 would run Qualcomm’s Snapdragon 8150 or Samsung’s own Exynos 9820 processor depending on the region. Samsung could also use a graphene battery instead of the regular Lithium-ion battery inside Galaxy Note 10. Late last year, the Korean company was granted a patent for a graphene battery that could hold 45% more charge than its Lithium-ion counterparts. According to the rumor mill, the new battery technology will be ready in time for the Galaxy Note 10. The graphene batteries also charge five times faster than the current Lithium-ion ones. It means if a Lithium-ion battery takes 2 hours to go from 0% to 100%, the graphene one could reach the same level of charge in just 24 minutes.